DATES & TIMES: Saturday – Monday, August 31 – September 2, 10:00 – 5:00 pm. DESCRIPTION: This three-day juried fine art festival takes place on the historic Marietta Square at Glover Park and attracts over 48,000 guests annually. It is professionally managed and has been ranked in the Top 100 Events by Sunshine Artist Magazine, is consistently awarded a Top 20 Event by the Southeast Tourism Society, a Top Event by Top Event USA and has also won awards by the International Festival and Event Association and the Southeast Festival and Event Association. LOCATION: Marietta GA. Glover Park on the Marietta Square. Marietta is located just 15 miles northwest of Atlanta and 5 miles west of I-75 in Cobb County. ART: All items must be hand crafted by the artist and categorized as a “fine art”. Resale or wholesale items (buy/sell) are not permitted and will result in immediate dismissal without refund. No manufactured, imported items or raw materials will be allowed. 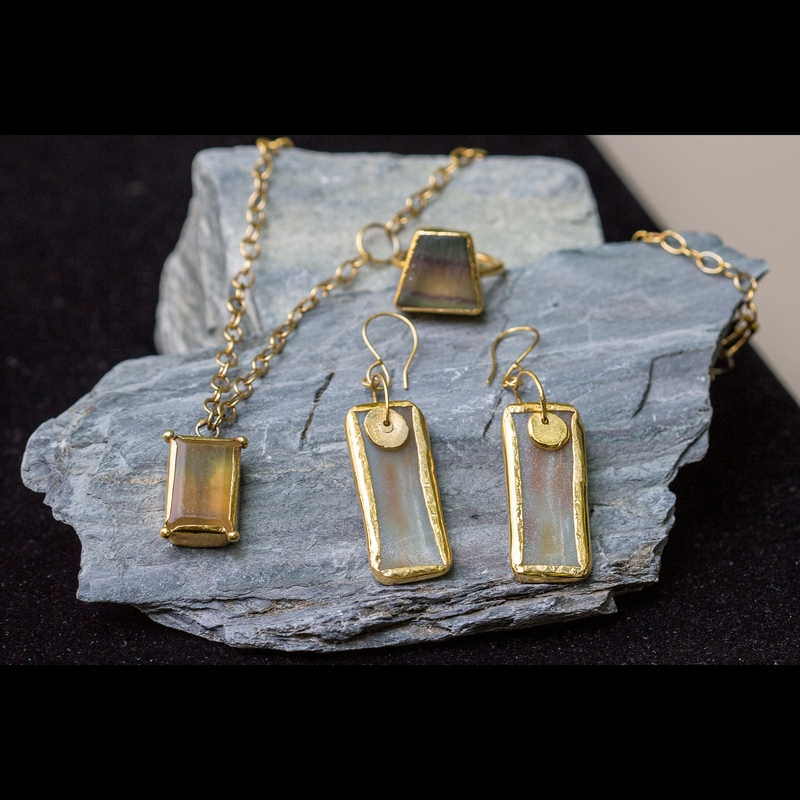 Accepted categories include jewelry, pottery, glass, painting/drawing, photography, textile/leather, metal, wood, digital media and mixed media. Artists may only show and sell work from the category in which they have been accepted. Artwork and booth submitted in photos must be representative of display and art offered for sale. Festival organizers reserve the right to ask the artist to remove items not representative of art submitted for jury process/acceptance. ARTIST: The artist must arrive on time and stay for the duration of the festival. Artists may not open their booth late or close early. No agents, dealers, or representative may attend in place of the artist. Only one artist may display in a booth unless the work produced is a collaboration of two artists. BOOTH: Booth size is either 10 X 10 or 10 X 20. Booths will be located on either brick or asphalt. Weighting tents is mandatory, and staking/tie downs to streets or adjacent structures is not permitted. Artists must furnish their own white tent, display tables, skirting, & chairs. All displays must be designed and constructed to be aesthetically pleasing, and all sales and promotional activities must be confined to artist’s assigned space. Power is only available in a limited number of predetermined areas and must be requested on the application for consideration. Portable generators or drop cords across the walkway are not permitted. PARKING: Artist parking is available one block off the festival site. Artists must park in the designated parking area during show hours. SET UP: Either Friday, August 30th from 6:00 – 9:00 pm or Saturday, August 31st from 6:00 – 9:00 am. Early set up is available for booths located inside the park. All cars must be removed from the festival area and returned to the artists parking area 30 minutes before the festival begins. Vehicles are not permitted in the festival area during the festival hours. The event will be held rain or shine. TEAR DOWN: Begins at 5:00pm on Monday, Sept. 2nd however; vehicles are not permitted in the festival area until 5:30 pm. All artists must be broken down by 8:00pm. SECURITY: Management provides after hour security for the festival with the understanding that Creative Event Specialists, LLC, the City of Marietta or the festival director will not assume any liability for lost, stolen or damaged items. By mail: submit signed application, jury and booth checks (must be separate checks), 4 photos (4X6 only), one of the outdoor booth display and three photos of the individual art pieces and a self addressed stamped envelope. Accepted artists understand and agree that images of their work may be used by the show promoter for the sole purpose of marketing the event. FEES/REFUNDS/WAITLIST: Non-refundable Jury -$25.00, Booth Space – 10 X10: $260.00 or 10 X 20: $520.00. Charge for a returned check is $35.00. Refunds will not be issued after May 30, 2019. Mailed in booth checks (from accepted artists) will be deposited immediately after you have been accepted. Artists placed on the waitlist will be notified via email. As space becomes available, artists will be pulled from the waitlist based on “like art” from vacated space. No refunds will be given for the cancellation of the event due to inclement weather or circumstances beyond our control. All checks made payable to CES. 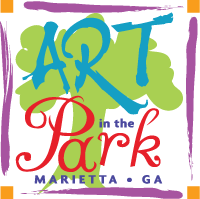 ARTIST COUPONS: Blick Art Supplies has coupons available for participating Marietta Art in the Park Artists. Blick has been a long time supporter of Marietta Art in the Park and is a valued resource to our artists. Marietta Art in the Park is pleased to announce the One Piece Project. During the Labor Day festival, each participating artist will place a purple One Piece Project ribbon on the artwork of their choice, when the art piece is sold, the artist will donate 10% of the sale to the Art in the Park Festival. The Festival will collect and forward the proceeds to the selected benefactors on behalf of the Festival and each of the participating artists. The benefactors for 2018 were the “Inspired by the heArt” art show and gallery exhibit. Click here to learn more. The “Inspired by the heArt” art show is an event that began in 2013 allowing Cobb County students with mild to severe intellectual disabilities to create, celebrate and display their artistic skills. Last year, over 200 students participated in the event in which no one is turned away.